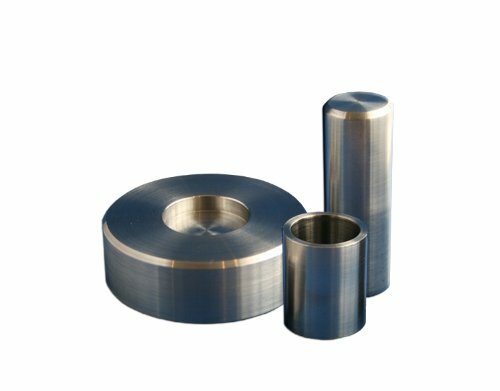 Rocks and other agglomerated types of sample materials are seldom of suitable size for accommodation and direct comminution in SpectroMill Ball Pestle Impact Grinder vials or GyralGrinder comminution vessels. Quite often it is necessary to first crush a sample into smaller constituents. The Impact Mortar and Pestle is ideally suited for this application in the laboratory or for field collections. Simply place the sample in the mortar chamber. Insert the pestle and repeatedly raise and lower the pestle with controlled force. The contained sample is mechanically crushed with each downward stroke. Use of a wood or plastic mallet is a useful consideration.